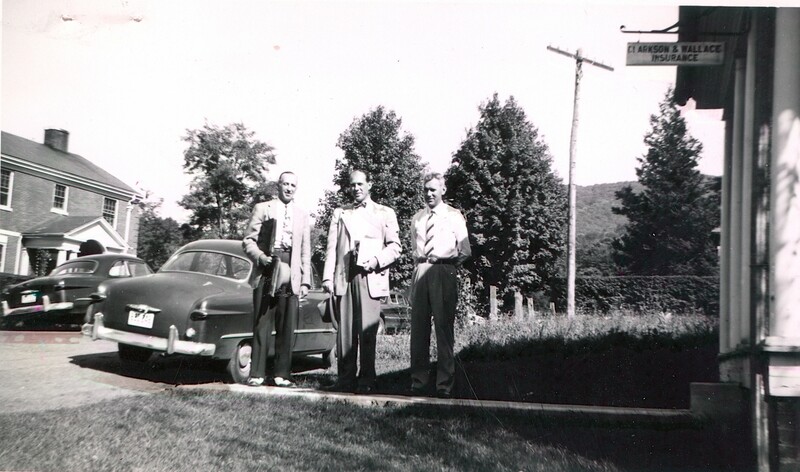 Jim Clarkson (left) and Tom Wallace (right) outside of our current office sometime shortly after the founding of the company. Clarkson & Wallace started as a two-man insurance company in 1947 and shortly after grew to meet the real estate needs of insurance clients. That same care for our clients’ needs drove the expansion of our business to include vacation rental management in 1989 and more recently in 2006, a full offering of property management. This entry was posted in History, Community. Bookmark the permalink.